How do I add a Pinterest Text to my image? 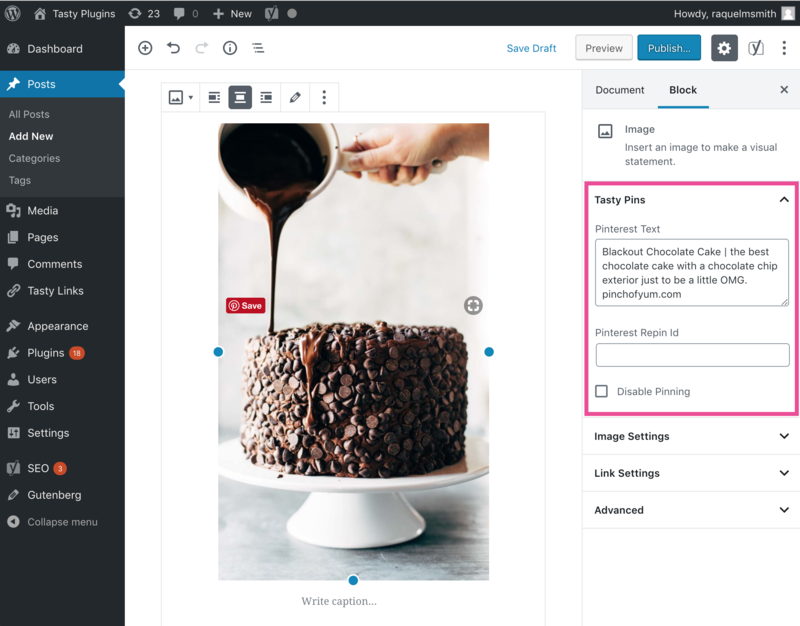 Learn how to add a descriptor for your image that is used when someone saves your image to Pinterest. Add an image block in your desired location. 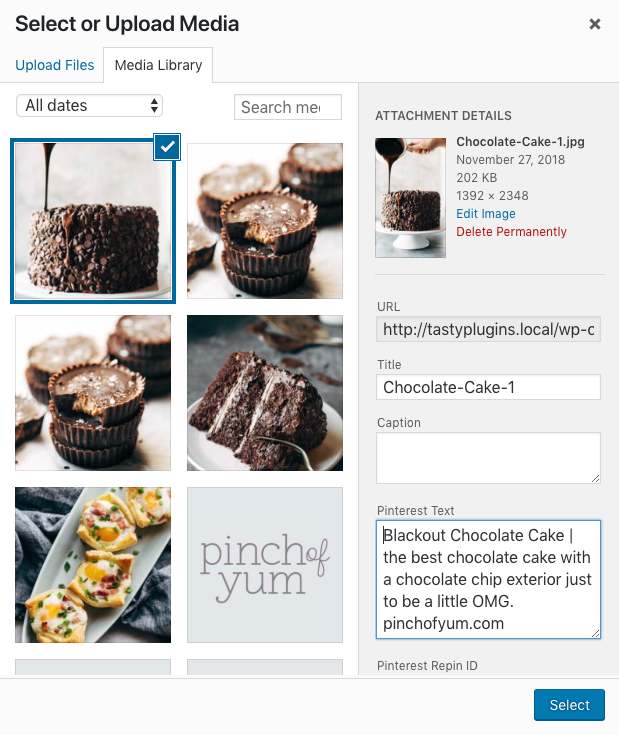 Select an image form the Media Library, then add the Pinterest Text in the right-hand column. Click "Select" to add the image to the page. 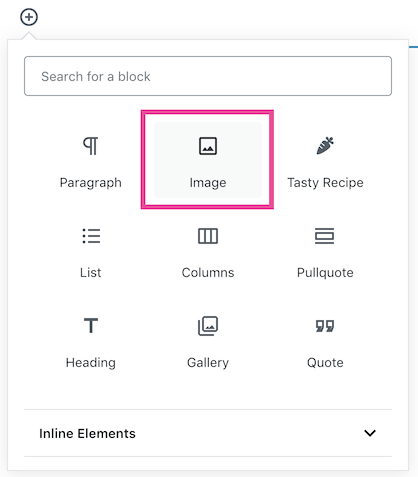 If you want to change the Pinterest text or Repin ID after adding the image to the page, simply click on the image and edit the attributes in the block sidebar. Place your cursor where you want to add an image to your post. Click the "Add Media" button. 2. Select the image you want to add. Add your Pinterest text in the Pinterest Text field on the right. Click "Insert into Post." Then use the fields in the window that appears to add your Pinterest and alt text.